What would Vygotsky have thought of Play Station 4? I would be remiss to not reference Lev Vygotsky, a long dead but genius dead Russian psychologist who has been one step and the better part of a century ahead of me on the core ideas being developed here. Many of the ideas I explore and the language I use echoes Vygotsky’s insights and work, including ideas about tool use, scaffolding and the entire idea of using play as a form of intellectual development. Giving credit where credit is due, in this post I will highlight some of the key concepts Vygotsky developed and how these ideas apply to video games, which only came into existence four to five decades following his death. I can only imagine he would have had much to say about educational video games had he teleported half a century into the future. Though Vygotsky elaborates a developmental theory and applies it to learning and education, his starting point is fundamentally the question of what comprises intelligence and how does it arise and develop? Based on primate and infant studies from the time, he argues that tool use represents a fundamental characteristic of intelligence. At its most rudimentary, we might think of our own appendages as tools. But of course, tools can range from an arm to a stick or rock to a MacBook Pro. He attributes to non-human primates ‘practical intelligence’ that arises from ‘practical activity.’ In the terms I have been using, this is equivalent to ‘how to do.’ So a monkey, for example, who wants to reach a banana beyond arm’s length will eventually figure out that he can take a stick and knock it down. This represents a form of trial and error, procedural learning: what works and what doesn’t. This form of practical intelligence is independent of speech and language and arises more from associations formed and reinforced between particular stimuli (like bananas and sticks) and particular actions (Thorndike had a bit to say about animal intelligence, which I have written about in my work here). In contrast, we as humans obviously have a different kind of intelligence that arises from our ability to abstractly represent ideas and think through possible actions, outcomes and solutions in our head. This is an intelligence that arises from a capacity for symbolic representation, reflected in speech and language. One of Vygotsky’s fundamental premises is that these two kinds of intelligence and their mutual development are intertwined (described more below). In previous posts, echoing this idea, I have sort of argued for two ‘intertwined’ levels of learning– procedural, action learning about how to do things and a cognitive, representational learning. Unlike Vygotsky, I am inclined to see these less as ‘intertwined’ and more as two inseparable sides of a single coin, but I’m not going to quibble. The key point is that there is an intimate link between practical activity– doing things– and cognitive activity, symbolically representing or thinking about things. Video games abstract both of these and allow them to be arbitrarily paired. “Doing” is abstracted into controller manipulations (ie., not really serving a tennis ball, but doing abstract motor movements with a joystick). The symbolic or cognitive level– the dragons, keys, beachballs, jumping and sword fighting in our games– are also arbitrary abstractions. Thus, in a video game, the field is created where we can link arbitrary ‘doing learning’ with arbitrary symbolic representation, or ‘thinking learning.’ You cannot do this in the real world where actions and things in the world are neither arbitrary nor abstract. (I also quibble with Vygotsky’s characterization of the limits of animal intelligence, but that is another discussion, irrelevant here*). 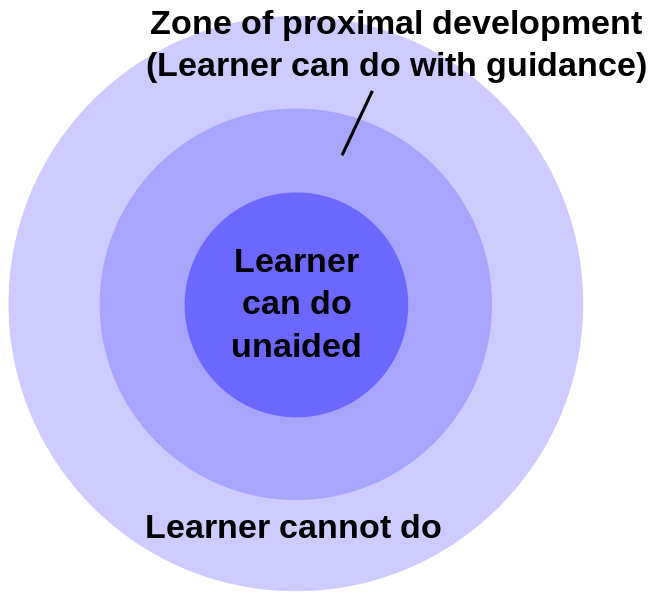 I’m going to put a slightly different spin (see Wikipedia for standard rendition) on Vygotsky. His work focuses on how, through speech, social interactions become internalized to become symbolic, representational cognitive systems. He noted that because cultures differ, so too will the social interactions and the characteristics of the internalized representational system. I want to abstract this just slightly and view the social interaction as a mechanism for cultural transmission of knowledge in the form of language and symbolic systems of signs. What is being internalized, though, is effectively a cultural cognitive system– of course, with lots of individual variations, but still . . . a system of symbolic representation that is fundamentally cultural. So while Vygotsky talked a lot about social interaction referring to direct interactions such as between parents and child or teacher and child, I would argue that the essentially same process can occur through cultural artifacts– watching movies, reading, surfing the internet, seeing billboards and advertisements every day. These sorts of things represent an indirect social interaction. In a sad nutshell that doesn’t do justice to Vygotsky’s genius: speech in children functions initially as a means of communication between child and adult, allowing for teaching and guidance. Young children then adopt ‘self-speech’ where they talk themselves through particular actions and problem solving. Eventually, this self-speech becomes internalized (talking in one’s own head), resulting in language transforming from a primarily interpersonal medium to one that is intrapersonal; that is, all that we learned in interactions through talking and acting we start to internally represent through symbols that allow us to think independently of acting. This internalized representational system frees us from the demand of responding to our immediate sensory field, from a sort of tyranny of stimulus-response learning. Critically, we can withhold a response and think beyond our immediate environment. We can predict, envision, and plan. In short, we can self-regulate our responses and explore options and possibilities in a virtual, representational world in our heads, basing our behavior on these mental operations– otherwise known as ‘thinking and cognition’– rather than emitting immediate learned responses to stimuli in the environment. Though volumes can and have been written on internalization– not just as Vygotsky portrays it, but more generally– space precludes delving into the topic. The critical point here is that interaction between an individual and his/her culture becomes mediated by symbols, primarily language, which take up residence inside the brain. Those symbols are inextricably linked with actions and experience and come to form a cognitive system that allows us to put actual action on hold while we engage in virtual action before deciding upon what actual action to take. Though Vygotsky might not see it exactly this way, my argument is that such representational systems are, effectively, a great big ‘ol tool in and of themselves– and their use, ie., thinking, constitutes action. Because our daily lives might consist of often attempting to get the cookie jar down from a high shelf, we frequently engage in interactions, including speech, to this end and eventually acquire elaborate cognitive representations of how to get the cookies. We have considerably less opportunity to engage in interactions and internalize symbolic representations on how covalent bonds form between molecules. Video games provide a virtual world where things like solving derivatives and understanding the effect of gravity on an object in motion can be as common as getting the cookie. The last Vygotsky topic, for which he is best known, is the ‘zone of proximal development’ (ZPD). This is simple: the ZPD is the domain of tasks and problems that a person can successfully tackle with assistance. Example: Imagine a preschooler who has learned to count. They are confronted with a task of deciding whether they have enough pennies to buy a candy bar. They can count the pennies and have an answer. This is a problem they can solve without help. Now imagine they want to get a candy bar, a pop and a cookie but need to figure out whether they have enough pennies for all three and, if not, which ones they can buy. There are several ways to solve this problem, none of which they may be able to do by themselves. They could decide which they want first, then count out the pennies for that. If they have pennies left over, they can decide which they want next and count out those pennies. They are essentially grouping their pennies to match the costs of the items. If they are able to add, they could add up the prices and count their pennies for the total cost. In fact, they could use the grouping process to learn about and come to understand addition. An adult can walk them through this process. After going through it a few times, they will internalize the procedure and be able to do it themselves. This task, that they can do with help, lies within the ZPD. In contrast, if they had to solve a differential equation in order to purchase the candy bar, no amount of adult guidance will enable them to do it– that is simply beyond their capability, and thus lies outside the ZPD. Though Vygotsky never used the term, this has led to the idea of ‘scaffolding’: the support points necessary to enable someone to complete a task or solve a problem. In the example above, ‘grouping pennies’ might be a support point, part of the scaffolding an adult provides. Eventually they will be able to do it without help. In previous posts, I draw upon and extend this concept of ‘scaffolding’ to the development of motivational structures, but more generally, in its more traditional sense, it boils down to providing assistance that facilitates the ability to complete a task, wherein learning occurs and ‘how to do things’ gets internalized symbolically and becomes part of a cognitive structure. Video games offer a rich opportunity for scaffolding. In the junk food buying example above, a video game could easily be designed that teaches the child to group pennies (placing one at a time in a tray in front of the object they want), which could then be extended to abstracting the concept of addition. As the child progresses up levels, the grouping opportunity (the scaffolding) could be removed requiring the child to perform the grouping process, ie., addition, internally before selecting an action. The ‘grouping tool’ could be made available as long as the child needs it. In the ZPD idea, the child is assisted by an adult. However, the same principles can be translated to trial and error discovery. Imagine a simple task, analogous to the Wisconsin Card Sorting task, where the child has to learn to group objects according to their color for a while and then, later in the game, according to shape (an crude example of category learning, as well as an exercise in set-shifting). If you arrange the elements of the game at a level where the child can discover what needs to be discovered, learning will occur. If the child has to ‘discover calculus’, only about 1 child every several hundred years will be likely to succeed. In short, in the same way in which there is a zone of tasks that the child can accomplish with assistance, there is reasonably a zone in any given environment with a set of available actions in which a child is likely to discover by trial and error some principle to guide their actions, even without adult assistance. In principle, educational video games could work within both these zones– the traditional ZPD with peer and adult assistance in navigating the game, but also a proximal zone of discovery. Either way the child is associating actions with symbols and constructing a layer of cognitive tools for mentally manipulating the environment, improving their ability to understand and act on that environment. Quintessentially, learning. Finally, though I won’t go into details here, Lev had a lot to say about the importance of play to cognitive development. In fact, a lot of people have a lot to say about this. One of the ideas in Vygotsky’s work germane to this discussion is that play and its pretend objects (pivots, he called them), similar to speech and interactions with adults, gets internalized, not only contributing to cognitive structure, but allowing ‘play’ to occur increasingly in the form of mental representations. Put another way, play can become increasingly cognitive. The relevance to video games is obvious. A video game is an entire world of pretend objects, or pivots, which gradually become internalized and incorporated in cognitive structure, potentially shaping the representational lens through which a person views the world. The value of Mario Bro’s or Grand Theft Auto’s contribution to a developing cognitive structure through which a child views the world is suspect, but that is hardly the video game’s fault. If he had known this pic would be viewed millions of times across the world for decades, he would’ve fixed that collar. Both psychology and neuroscience are replete with brilliant people, going back to the 19th century all the way to the hundreds of brilliant scientists living and working today. By rights, the list of people who have contributed to my thinking that deserve to be highlighted is quite long. 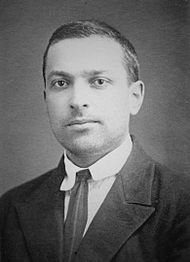 I single out Vygotsky not because I am ‘Vygotskian’ or because his work ‘supports’ my ideas, but because I think he was a visionary. And because I think he would really dig video games. And because his life was far too short, but his work continues to resonate. * Vygotsky saw the ability to interpret the immediate environment through the lens of a cognitive structure that anticipates future events as unique to human intelligence, eg., he says ” . . . a view of the future now an integral part of the approach to surroundings.” However, this is arguably true of animal intelligence as well. Prior experience is structurally assimilated into the brain through learning and mechanisms of synaptic plasticity such that an animal perceives its current surroundings through the lens of expectations of the future. The issue here is the degree to which human cognition, distinguished by language and symbolic representation, is a discontinuous departure from animal intelligence (ie., something wholly different) or merely an extension and elaboration of rudimentary cognitive function present in mice and monkeys. Vygotsky tended toward the former, I tend toward the latter. Posted by jeffabeeler on April 11, 2013 in education, intelligence, learning mechanisms, problem solving, science games, social intelligence and tagged educational games, intelligence, scaffolding, seriousgames.